As an experienced Elma DWI Lawyer I am often asked questions regarding prescription medications. Many people nowadays take prescription medication for pain relief or other ailments. I was recently in the court in the town of Elma representing a woman who was taking pain medication for a long-term back ailment. 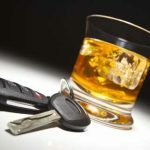 If you are driving under the influence of pain medication and you’ve exceeded the amount you’re supposed to take or it’s a narcotic and you are impaired by this narcotic, it is a crime in New York State. It is the same thing if you are convicted of driving while impaired by marijuana, cocaine, an opiate, or any type of prescription medication. You are not allowed to drive in New York State if you are impaired by the prescription medication you are taking. Have you recently been charged with a DWI because you were under the influence of prescription medications? If so, contact Elma DWI Lawyer Arthur Pressman. This education blog was brought to you by Arthur Pressman, an experienced Elma DWI Lawyer.